Take a Look! August 2017 - Welcoming Friends in India - Announcing Evelin Lindner's New Book! "Far from the eyes, close to the heart and always together in dignity!" and his son Andis from Sarajevo. In this edition of Take a Look, we wish to welcome everyone to our upcoming 29th Annual Dignity Conference, 16th - 19th August, in Indore, India. We look forward to seeing new and returning friends at this event, and we are thankful to all of you who are with us in spirit. This message will serve as our final friendly reminder about this conference. Please kindly see the details below. We also wish to invite you to our 14th Annual Workshop on Transforming Humiliation and Violent Conflict in New York in December and invite you to our future Dignity Conferences, Egypt in 2018 and Brazil in 2019. 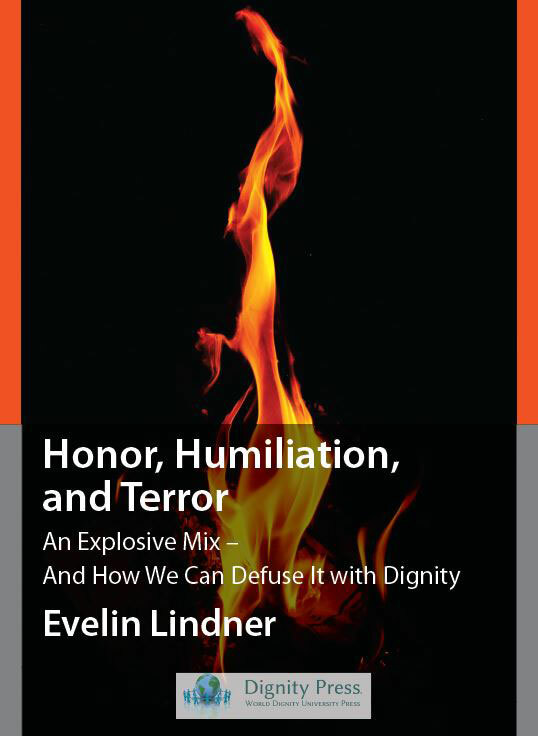 Furthermore, we wish to announce the publication of Evelin Lindner's new book: Honor, Humiliation, Terror: An Explosive Mix -- And How We Can Defuse It with Dignity. Please read more in our Dignity Press news update. 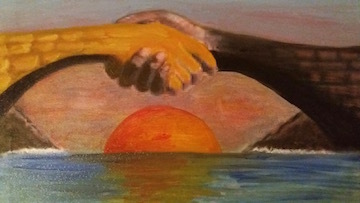 Thank you for connecting with us in our efforts to create a world that dignifies the lives of all people! Welcome Indore Friends and Participants! We very much look forward to welcoming you to our 2017 Human Dignity and Humiliation Studies Conference, 16th - 19th August 2017! All our events are part of an ongoing effort to nurture a global dignity community! Thank you for joining us! Please see the following information to help you plan your participation. We also encourage you to regularly visit our conference webpage for the latest updates . This conference aims to create global partnerships for change and produce knowledge about the crucially important historical times we live in. Our challenge is to create a world in which all people can enjoy a dignified life. Our conferences follow a fluid, unfolding format grounded in mutually supportive engagement and insight-cultivating conversations. Rather than having an "audience" listening to "speakers," our aim is to create a community that builds ideas together through dignifying dialogue, what we call Dignilogue (Dignity + Dialogue = Dignilogue). Please allow us to share this introductory handout on Digniloguing. If you haven't already done so, please submit your introductory information (e.g., contact information, CV, papers, and technical equipment needs) to: conferences@humiliationstudies.org. It would be wonderful if you could spend the entire conference with us so that real dignity-family-building can emerge. However, it is also possible to participate only in our public meeting or only in the workshop portion of our event. Thank you for making your travel, transportation, and accommodation plans soon. Please see the conference webpage for details and a map. It will be preferable that all guests stay at one hotel, because then the volunteers of our conference can assist with transportation to the conference venue. Amarvilas is known as a hotel with great hospitality and very affordable prices, located 10 km from the conference venue. Its address is 1 B, Chandra Nagar, A.B. Road, Chandra Nagar, Indore, Madhya Pradesh 452001, India. Upon arrival in Indore, please take a taxi from the airport to the Amarvilas Hotel (ca. 200 Rupees). Before traveling to Indore, please obtain your own private tourist visa to India. Visitors to India must obtain a visa from an Indian diplomatic mission, unless they come from one of the visa-exempt countries or a country whose citizens may obtain a visa online. It would be great if you could complete your "Appreciative Introduction" (Word/PDF) and email it to the address above, and, in addition, please print it out and bring it with you. We do not charge registration fees for our events. We share responsibility for this conference by dividing the expenses equally and inviting all participants to contribute according to their ability. All participants will receive a certificate upon completing this conference. Our conference has two parts: A workshop part and a public part. the urgent need for dignity in an age of globalisation. Heritage places: Rajwada Palace, Lal Baag Palace, Ujjain Mahakaleshwar Jyotirlinga of Lord Shiva, the Omkareshwar Omkareshwar Mahadev Temple, the ruin city of Mandu, the Ahilya Fort. in December 1984 after the Bhopal disaster. Evelin Lindner, Conference Chair, Founding President of Human Dignity and Humiliation Studies, and Co-Founder of the World Dignity University initiative, including Dignity Press. She has represented HumanDHS as a Nobel Peace Prize nominee in 2015, 2016, and 2017. The Renaissance-Indira Group for their wonderful cooperation with the World Dignity University initiative. We warmly thank Deepak Tripathi for creating this magnificent connection between our global dignity work and the Renaissance-Indira Group. Please see his book A Journey Through Turbulence (Lake Oswego, OR: Dignity Press, 2013). We also thank the Founder, Chairman, and Managing Director of the Renaissance-Indira Group, Swapnil Kothari, and his outstanding support team, for offering the venue for this conference, and for their untiring ongoing support for making this conference successful. Particular thanks go to Amol Mishra and Vinita Raj for their helpful encouragement in support of this event. The Renaissance-Indira Group consists of a number of colleges, including a business school and a law school. Indore is a hub of education and industry for Central India and has an illustrious history behind it. There are not enough words to thank you!
" 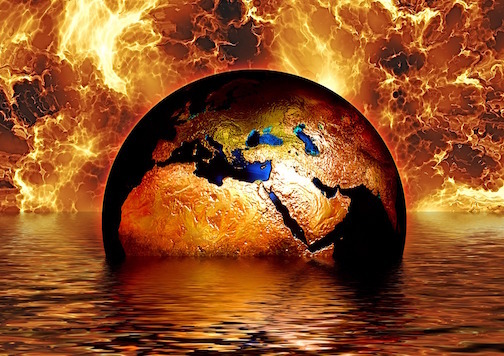 The Nature of Dignity -- The Dignity of Nature"
The growing consequences of global warming inspired this workshop theme, which encourages us to examine how dignity protects and replenishes our relationships with both people and our planet. Strategies for a Sustainable Future"
Dignity Press (DP) books explore a wide range of topics relevant to dignity, humiliation, peace studies, and conflict resolution, and they come from many different disciplines, such as sociology, legal studies, psychology, peace studies, conflict resolution, and inter- and transdisciplinary fields of study. Honor, Humiliation, and Terror: An Explosive Mix -- And How We Can Defuse It with Dignity! Description: Humankind has reached a boiling point. Hijacked by toxic competition for dominance, "might" has become "right." The consequence is ubiquitous destruction executed through tools of terror. This book is a breathtaking, globally informed account of how we can reverse this rising tide, making dignity our destiny and legacy...before it is too late. "Evelin Lindner is one of the most important, present-day actors for peace, international solidarity and conflict resolution, human rights and democracy building, and in this book she addresses the most burning issues of our time -- terrorism and the quest for a dignified world." If you feel inspired to do so, we invite you to share your reflections about this new book by writing a review that we could post on the HumanDHS and DP websites. Or, you might consider posting your own review on Amazon or other bookseller websites. To order this book, please click here. Please visit the DP website to see our entire collection of publications. If you are interested in supporting the work of Dignity Press as a volunteer, please email Editor Zuzana Luckay at: zuzanmi@dignitypress.com. Thank you for all you do to create a world of equal dignity for all!